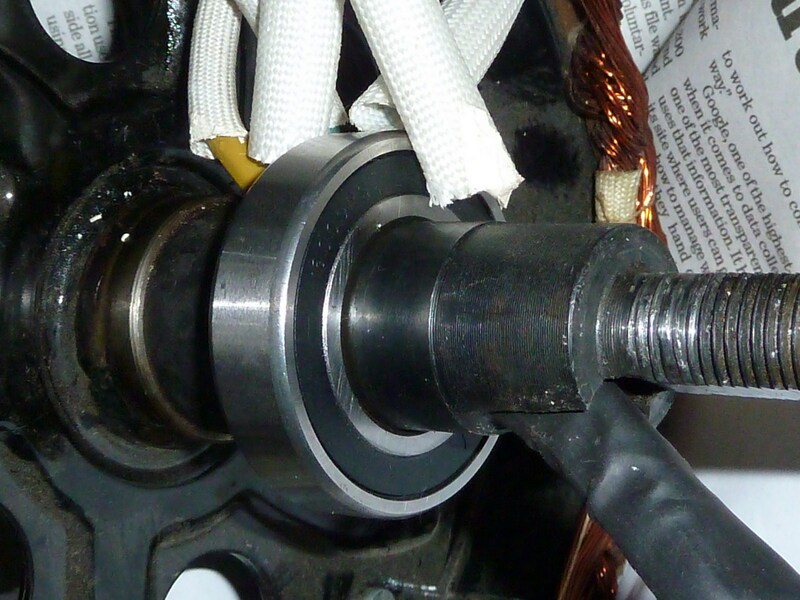 The hub motor – like any motor – is made up of two main parts. 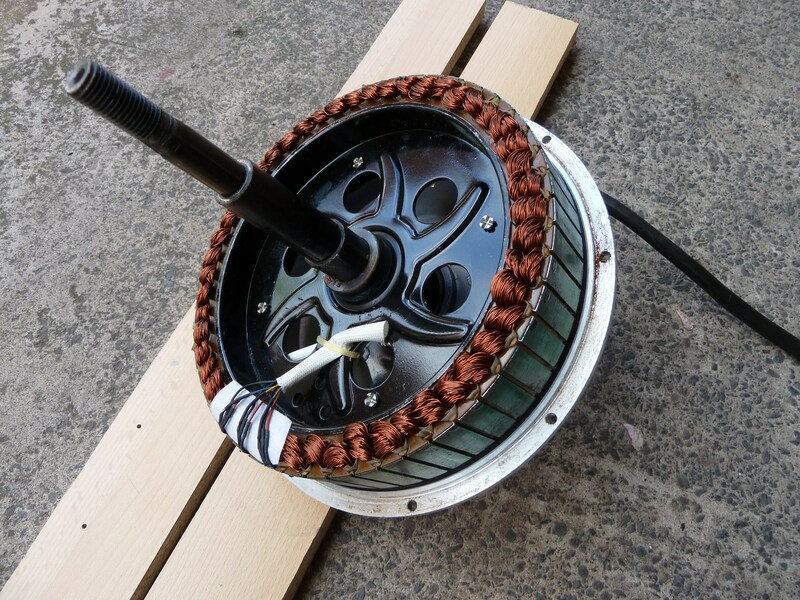 The first part is an axle surrounded by a fixed ring of copper coils, called the stator. 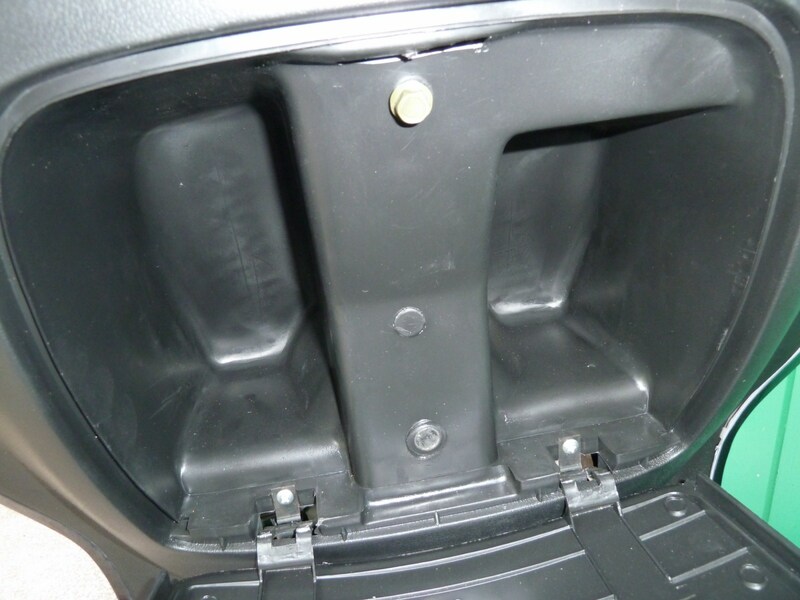 The second part is a housing into which the axle seated, and where it is allowed to rotate freely. 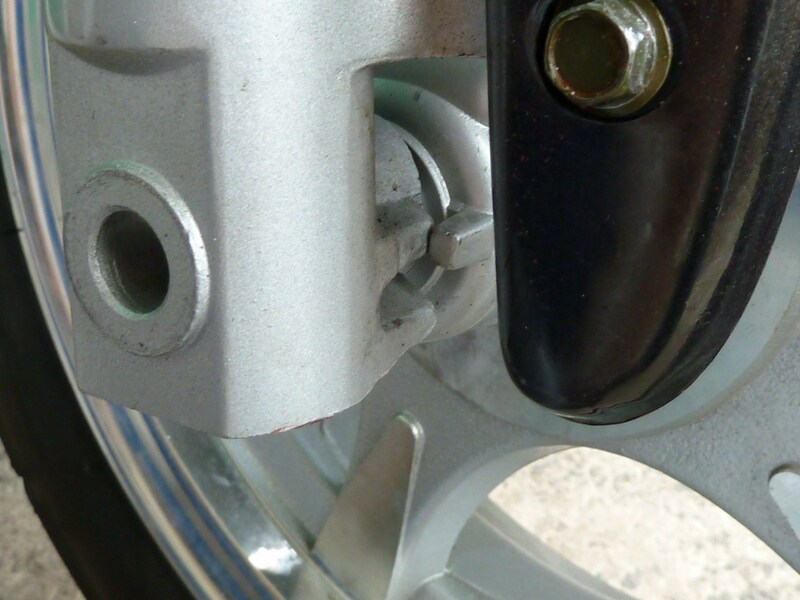 This housing, which part of the rear wheel, is surrounded by a ring of strong magnets that surrounds the ring of coils connected to the axle. 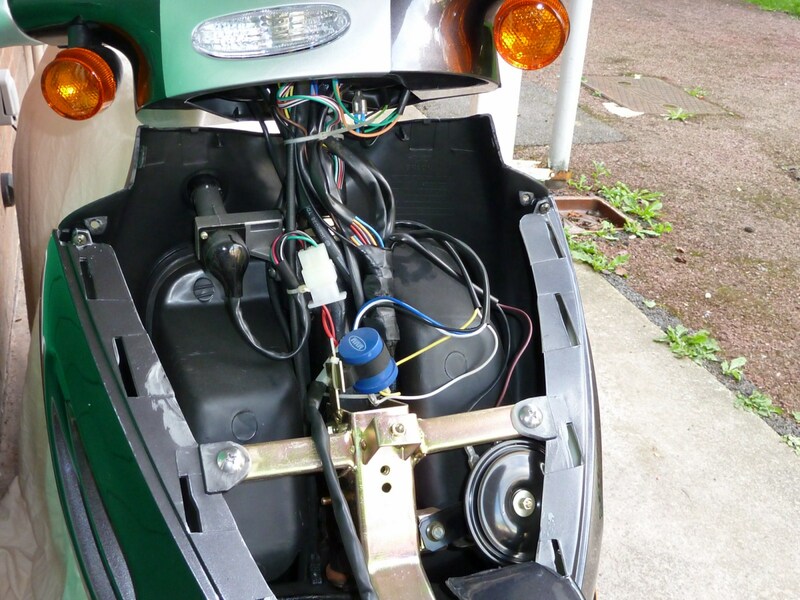 The hub motors used by most (but not all) electric bikes also have three ‘hall-effect’ sensors seated in a metal ring surrounding the coils, which relay signals back to the controller. 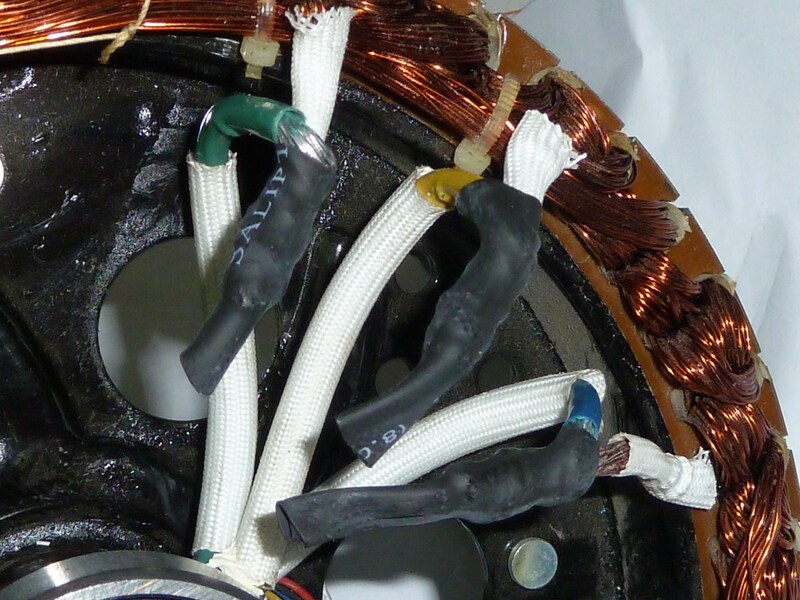 The phases wires that provide power to the motor and the thinner, sensor wires that feed back to the controller are all housed in a thick, insulated cable that runs through a hole in axle to the inside of the stator. 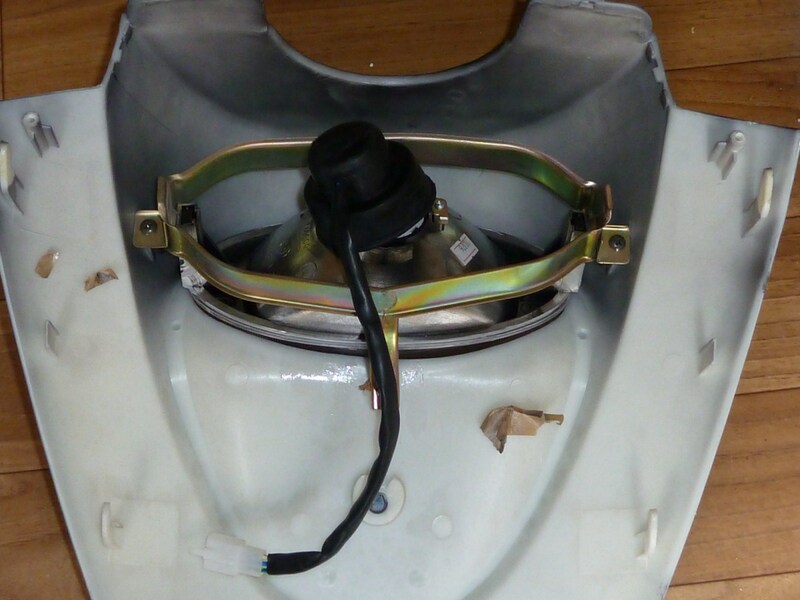 To get access to the workings of the motor you need to remove the stator from the rear wheel, and – if necessary remove the cover plate so that the area inside the coils can be accessed. 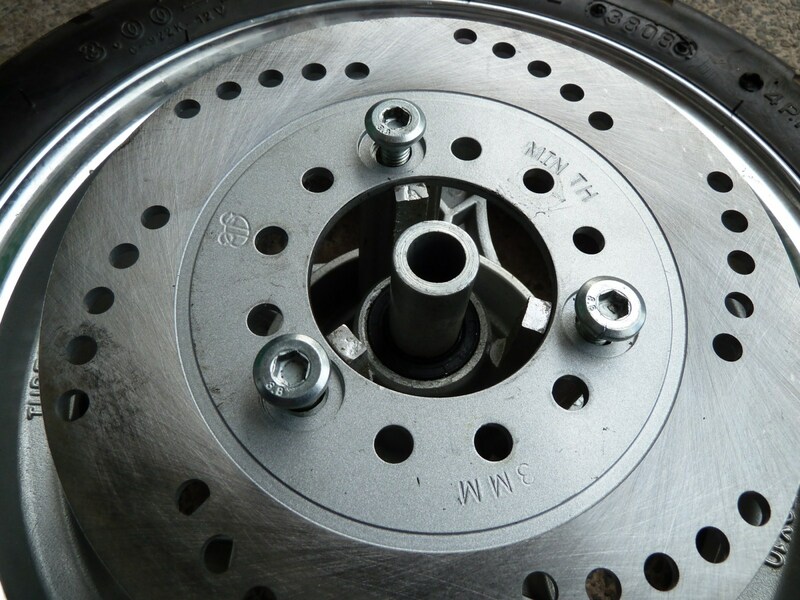 The stator is held onto the rear-wheel housing by a ring of allen bolts. 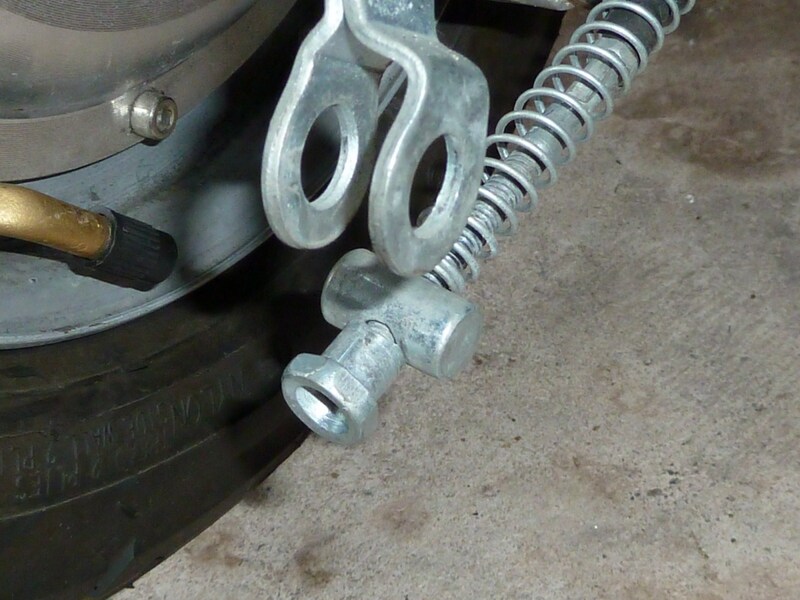 A ratchet screwdriver with a suitable attachment will make short work of these. It’s a good idea to put them in a little baggy so you don’t lose any. 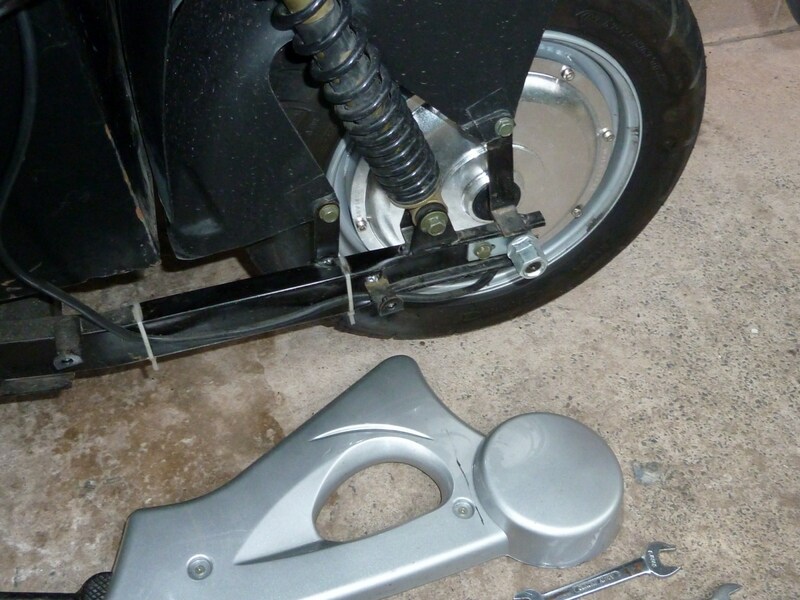 First it’s best to remove the drum brake assembly from the other side of the wheel. 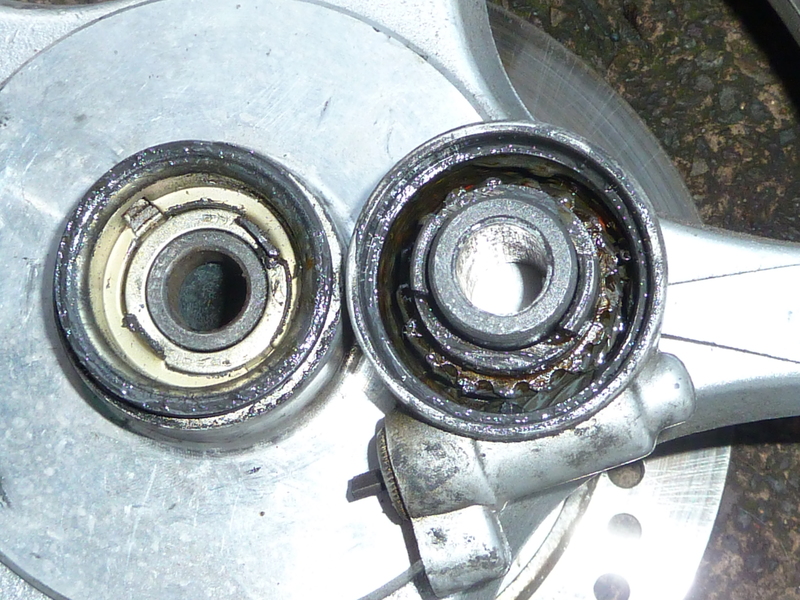 You can see the drum brake assembly below. 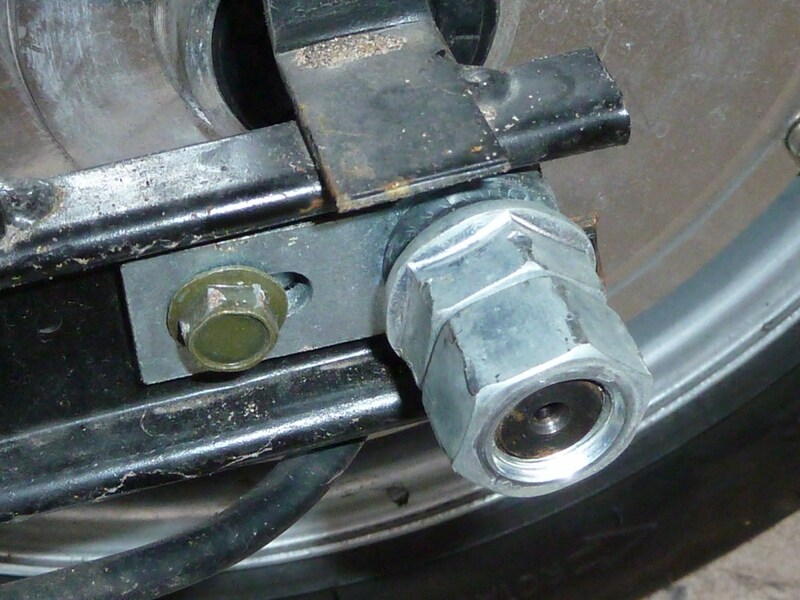 Remove the nut and washer from the end of the axle and the drum brake assembly, including the cover plate, lever and brake pads should just slide off in once piece. The next bit requires a bit of force, but is quite straightforward. 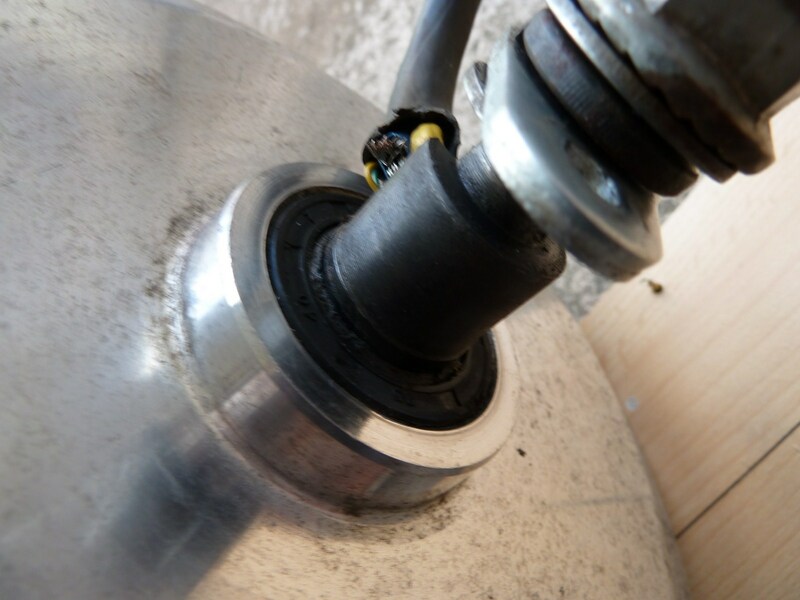 Even though the bolts are off, the stator is still held in place by powerful magnets, and needs a bit of encouragement to release. 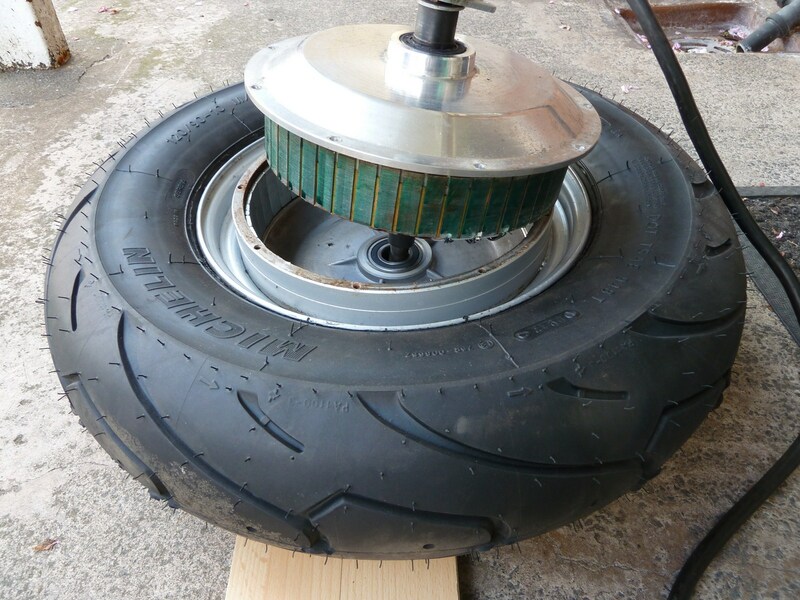 To remove the stator from the wheel, find a piece of wood and rest the wheel on top of it so that the end of the axle on the underside is firmly braced against the ground. 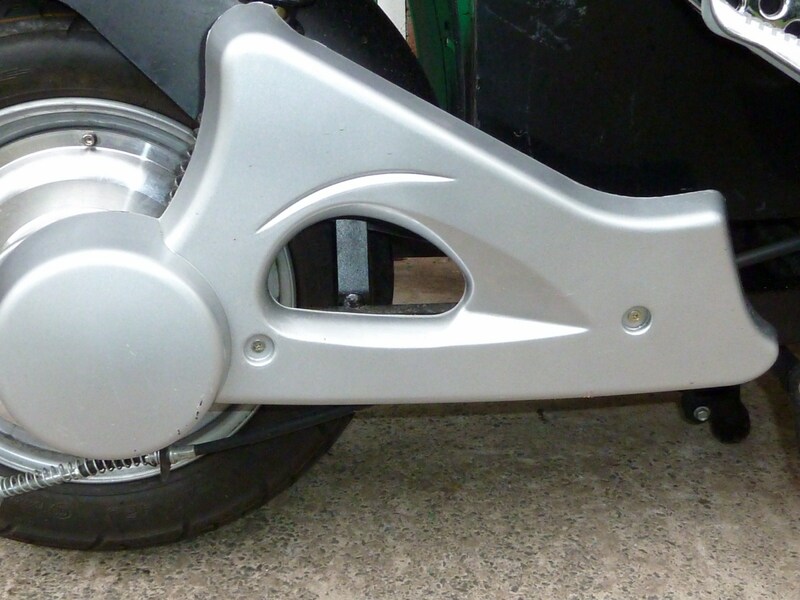 Then push down firmly on both sides of the tyre. 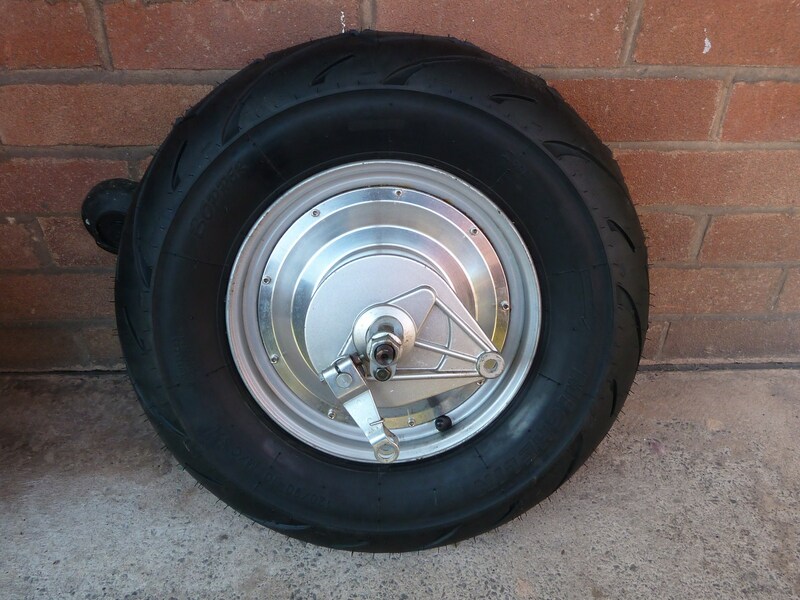 If it seems stuck, then put your knees on the tyre and bear down with all your weight. 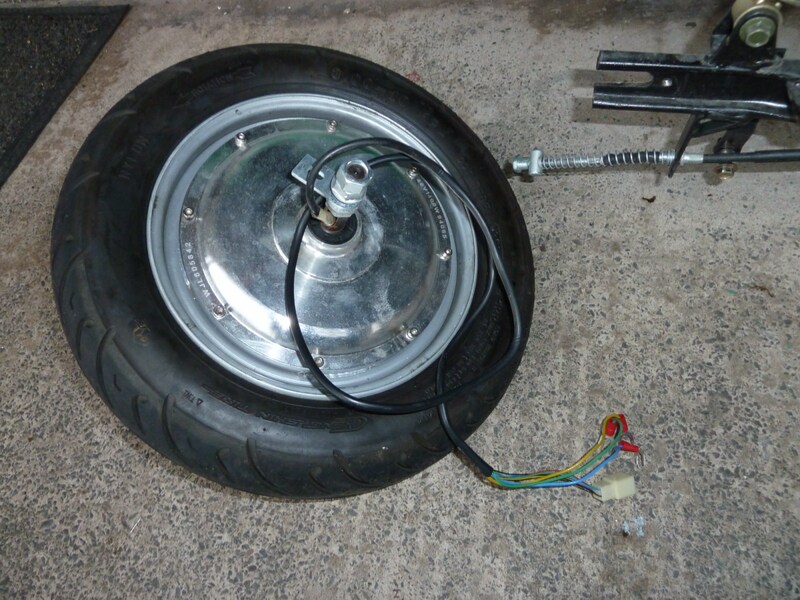 With enough force the stator will pop out and you’ll be able to remove it from the wheel. Here it is removed. 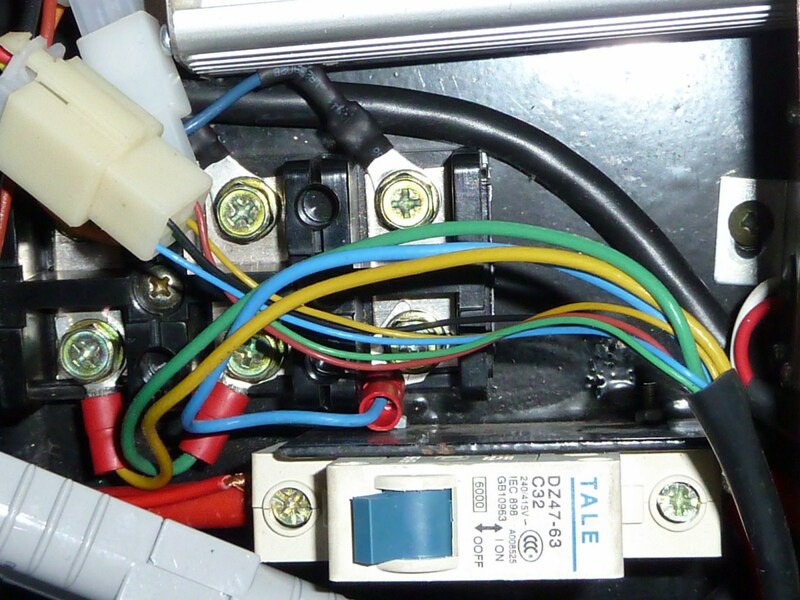 Towards the bottom, you can see the hall sensor wires where they meet the hall effect sensors embedded around the edge of the unit. This is as far as you’ll need to go in taking the motor apart if all you need to do is replace a defective hall sensor, but if you need to repair damaged wiring (like on the unit here) or even replace the phase wires for something thicker then you’ll need to also get that cover plate off the stator. 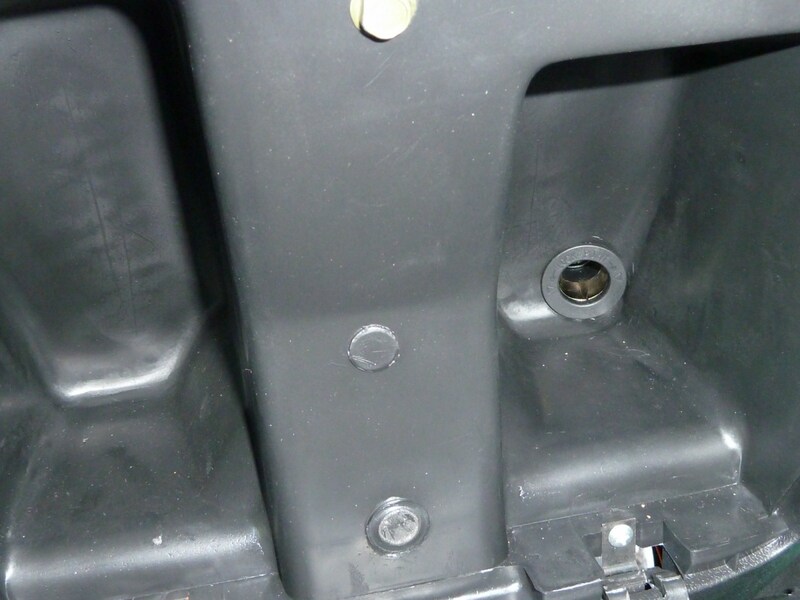 The only thing holding the plate on is the friction between it and the axles’s bearing, however it’s a very tight fit and can’t easily be removed without specialist equipment. 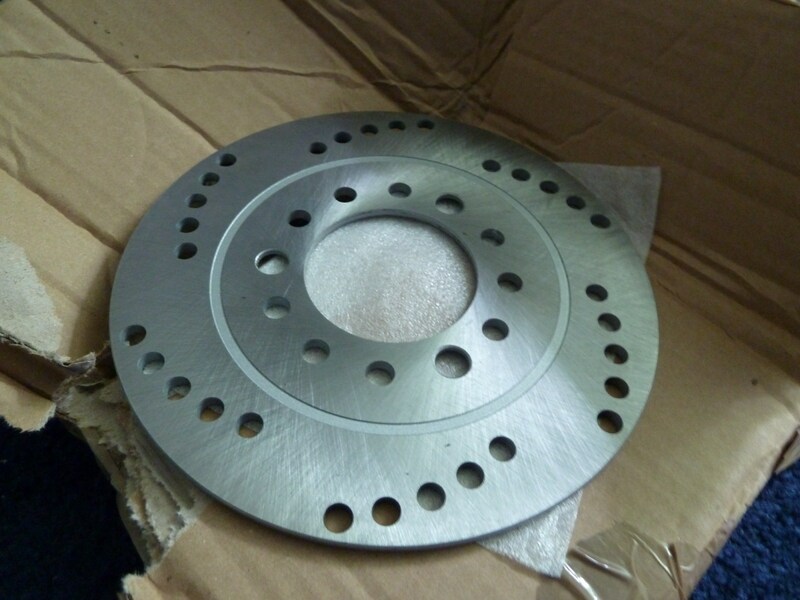 A hub-puller of the right size, or a hydraulic press can be used to push the axle through while the plate is held firmly. In the end I went to my local university’s mechanical engineering workshop, and they popped it off with a big hydraulic press. 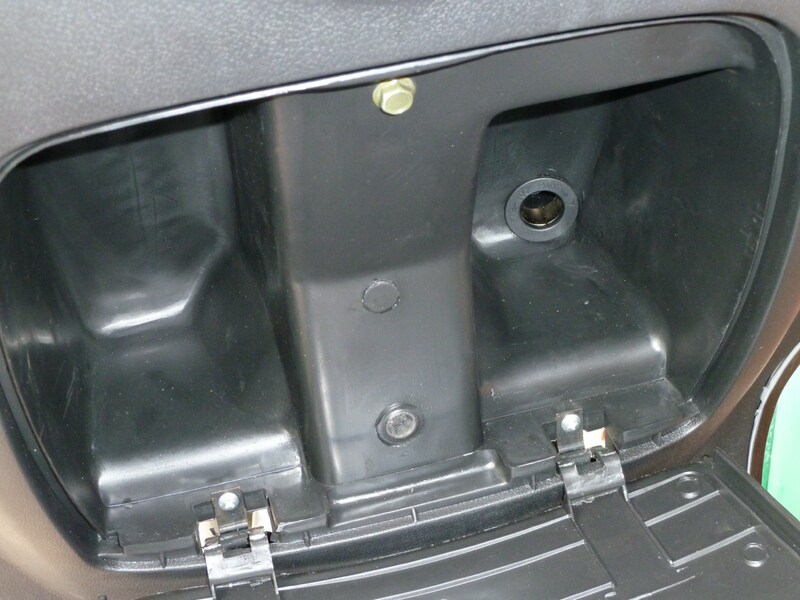 Once removed, you can see where the cable emerges from the axle on the other side of the plate, and where short lengths of surplus phase wire are covered in nylon and tied back. 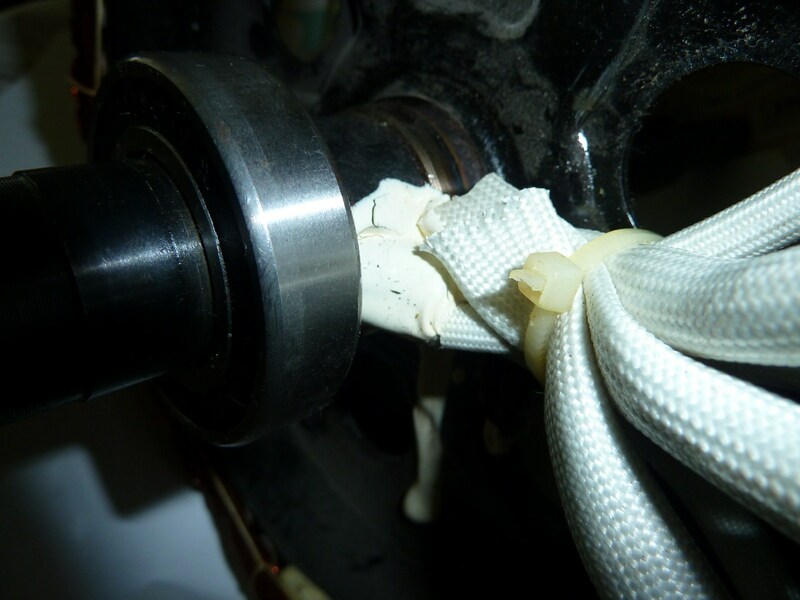 Below you can see the ends of the phase wires once released from the cable-ties and with the bits of nylon sheath removed. You can see where they are joined to the ends of three thick, copper cables which run lead into the banks of coils surrounding the stator. 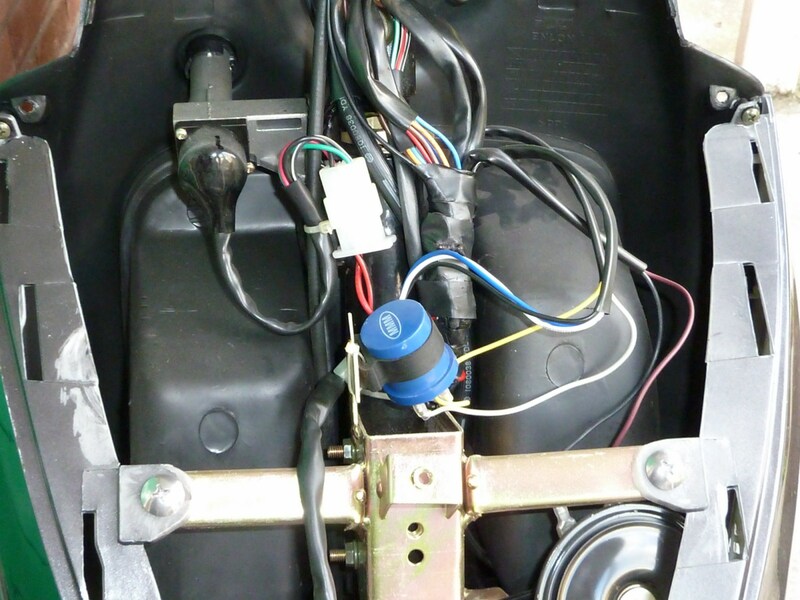 Once you have access to this part, you can make any repairs to damaged wires, or even replace the thinner phase wires that come with some hub motors with thicker grade wiring that can carry more power. 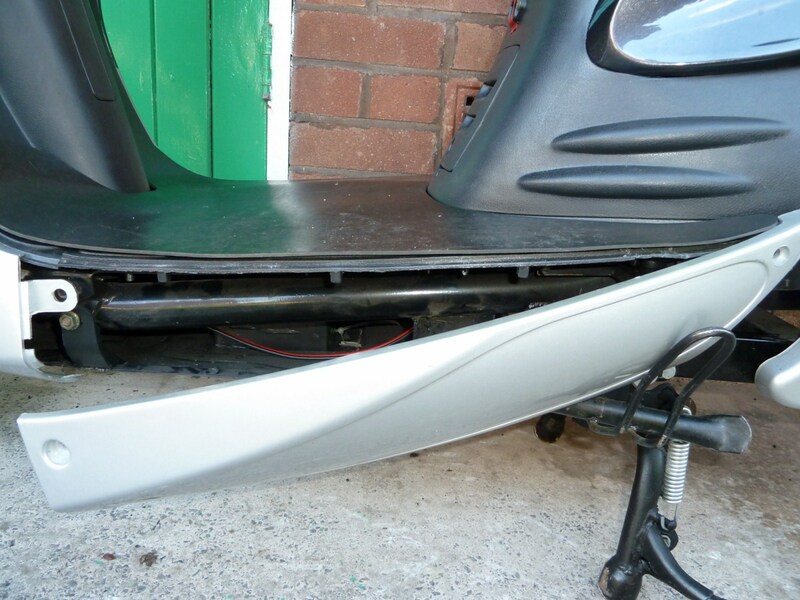 Though the cover plate for the stator may be quite tough to remove, it’s usually a lot easier to get back on. 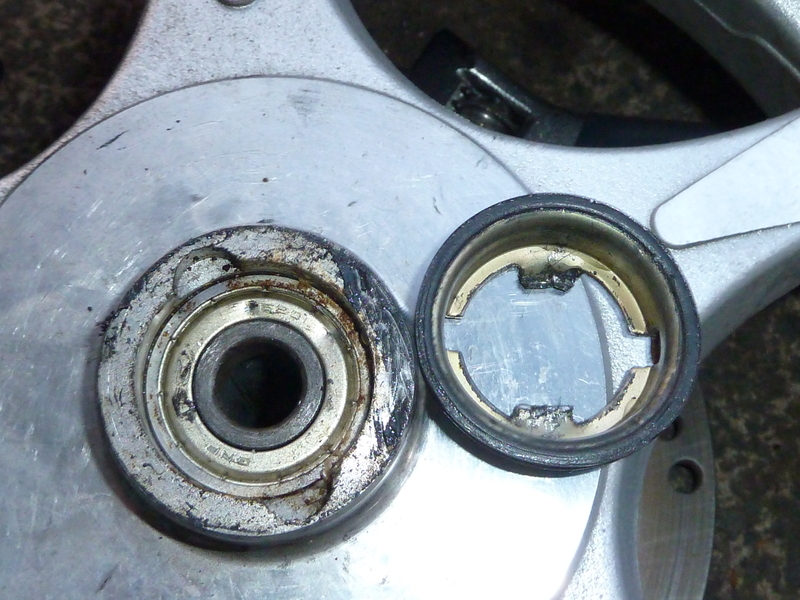 In my case, some gentle help using a wooden-headed mallet was enough to get the cover plate back over the bearing. 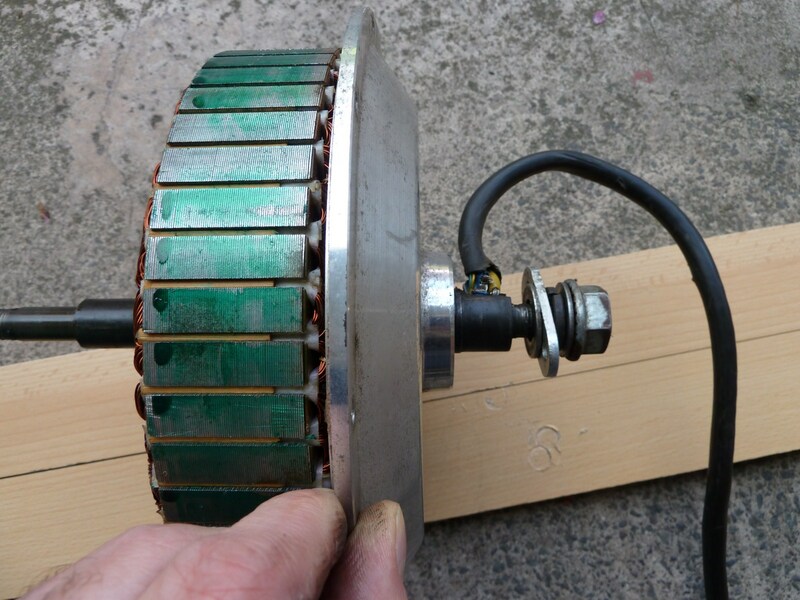 As for putting the stator assembly back into the wheel, this needs to be done with a certain amount of care, as once the stator is far enough into the rear wheel housing, the magnets will slam the stator back into place quite firmly, so MIND YOUR FINGERS! 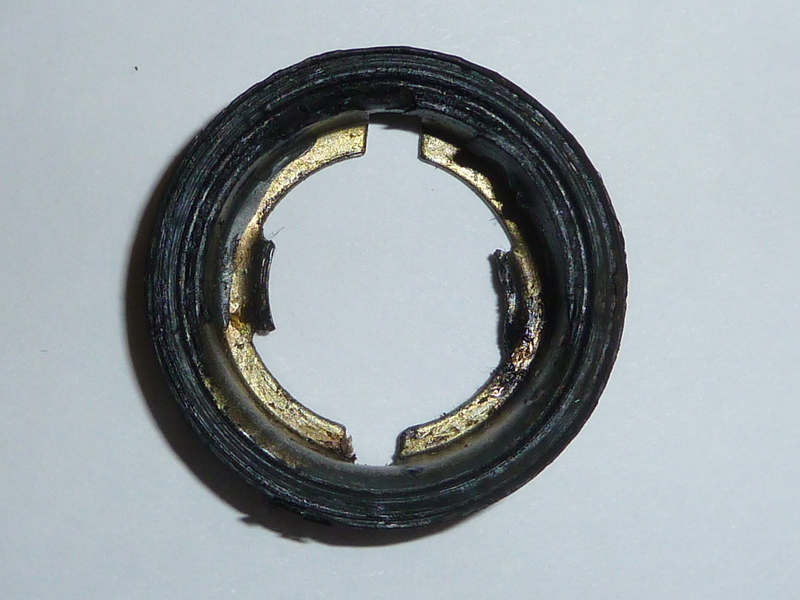 You will also need to bear in mind that the stator needs to be properly aligned so that all the holes in the case meet up with those in the housing. If not you’ll have to remove and reseat it again until it’s properly aligned. 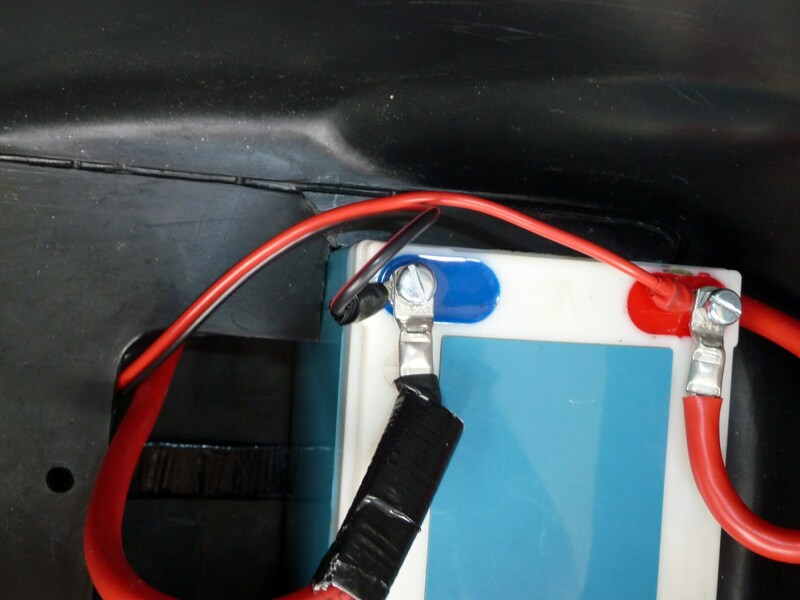 To help with this, I poked a screwdriver through on of the holes in the case and its corresponding hole in the housing so that the stator slid into place reasonably well aligned. 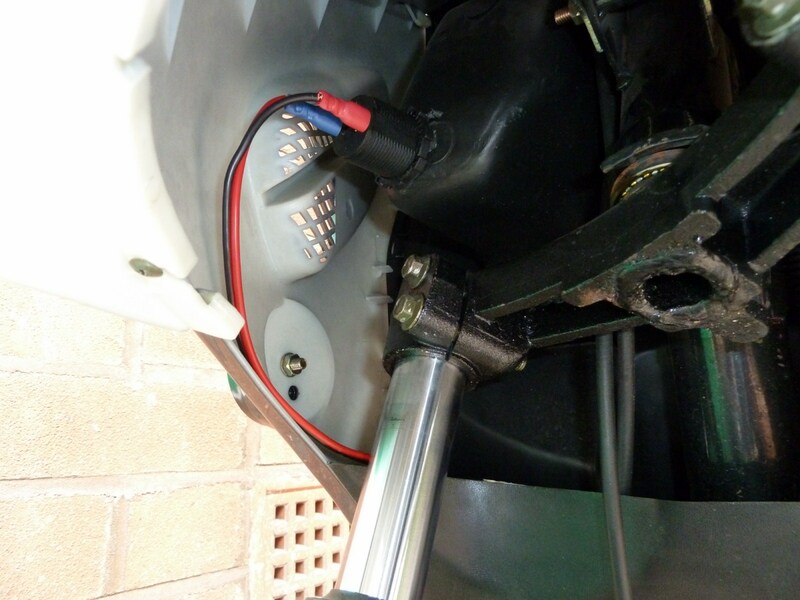 Once the stator was in place, I replaced the bolts, diagonally from one another and eventy spaced, tightening them up alternately to ensure that the stator went back in properly aligned. It’s a very straightforward job. 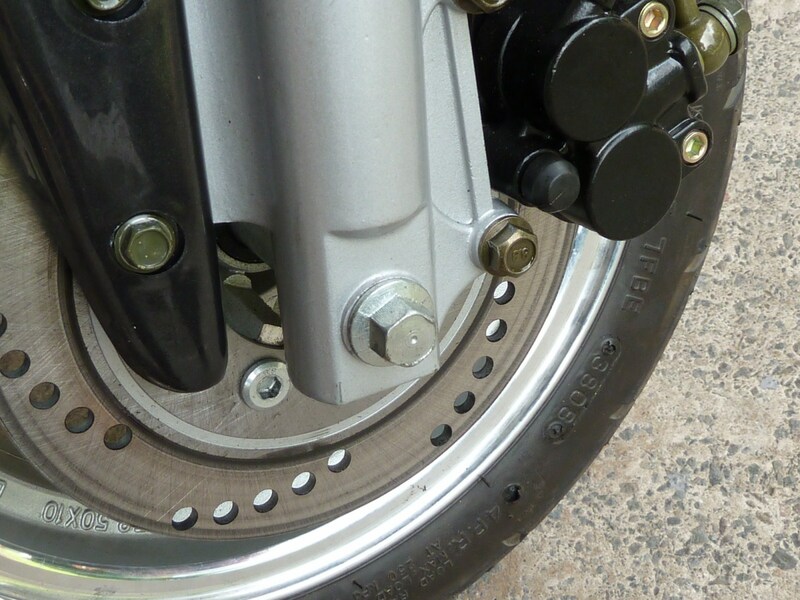 The front wheel is held on by a nut and long, flanged hex-head bolt that passes through a shaft running through the forks, the wheel and an odometer assembly inside the right fork. 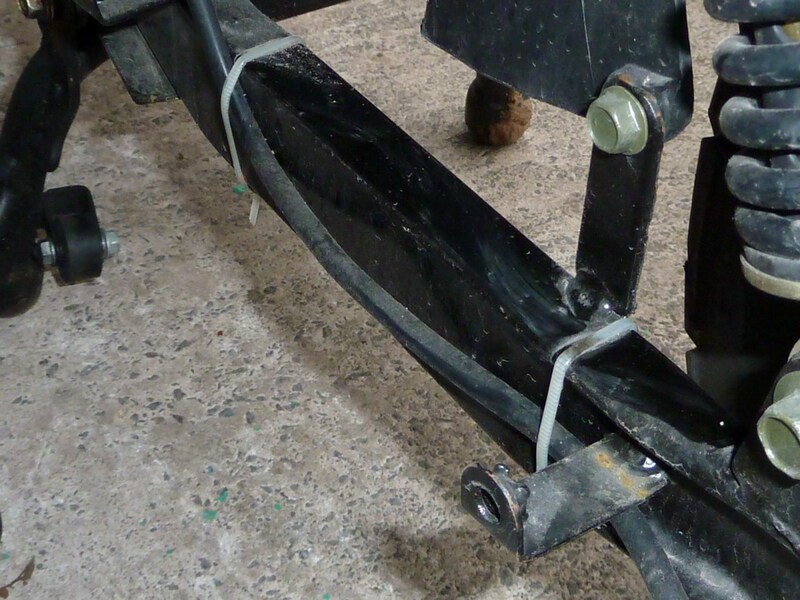 Here is the assembly with the left fork, shown from the front. 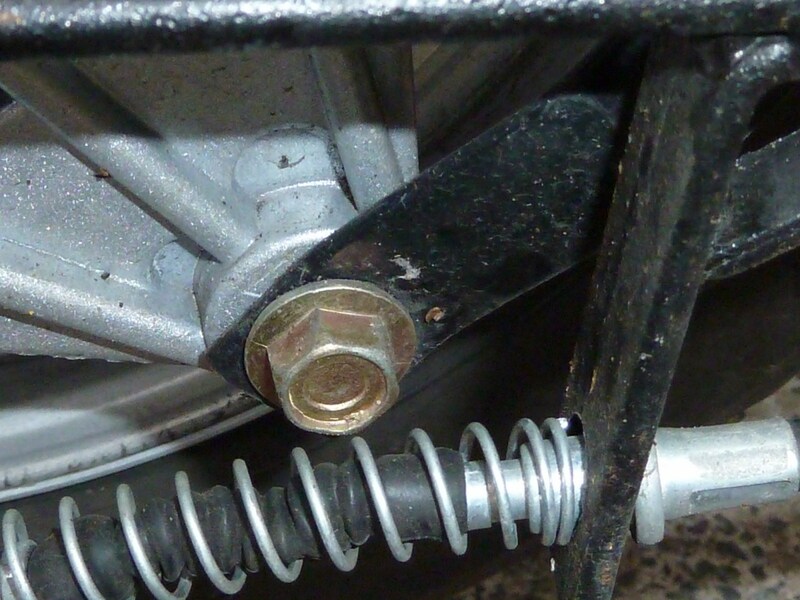 The big bolt in the middle is the one you need to remove to get the wheel off. 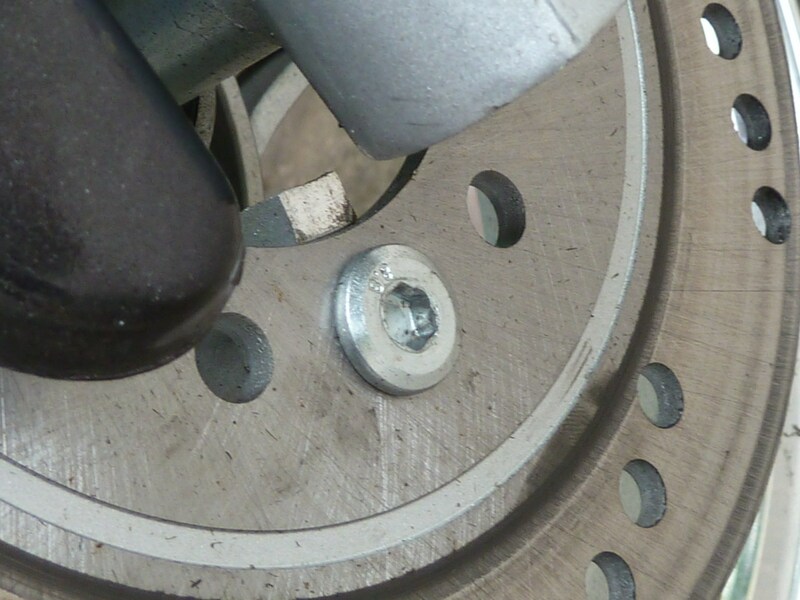 To the left, you can see one of the sunken hex-head bolts that hold the disc to the wheel itself. 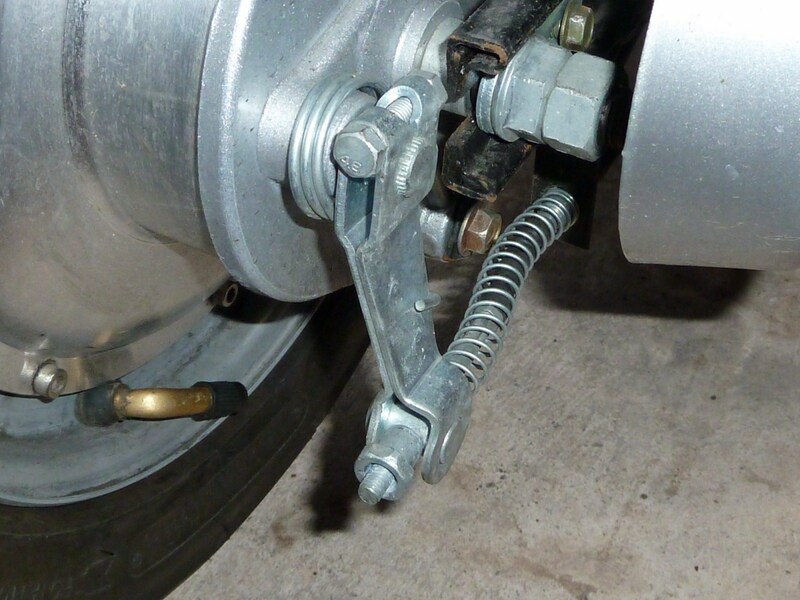 1) Use a spanner/socket to get the wheel off, but have something to rest the front forks on while you’re working on the wheel. 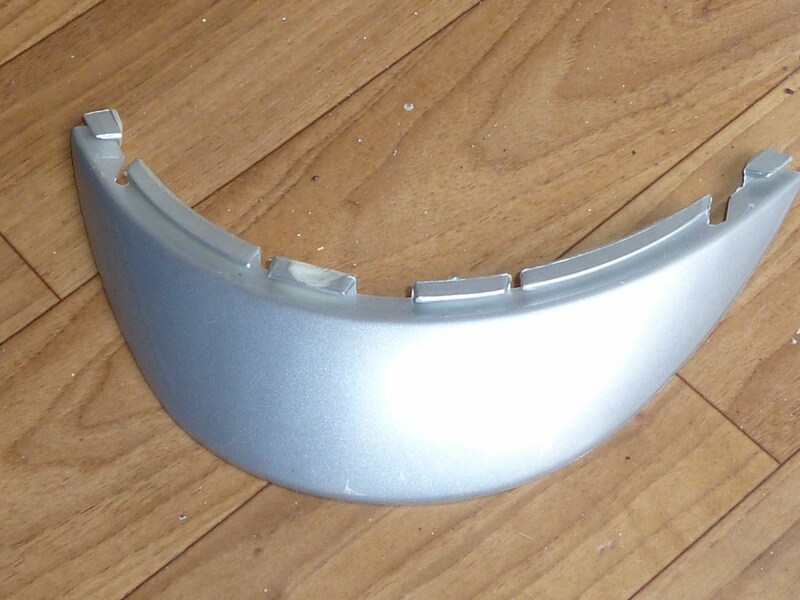 Here’s what it looks like with the wheel off. 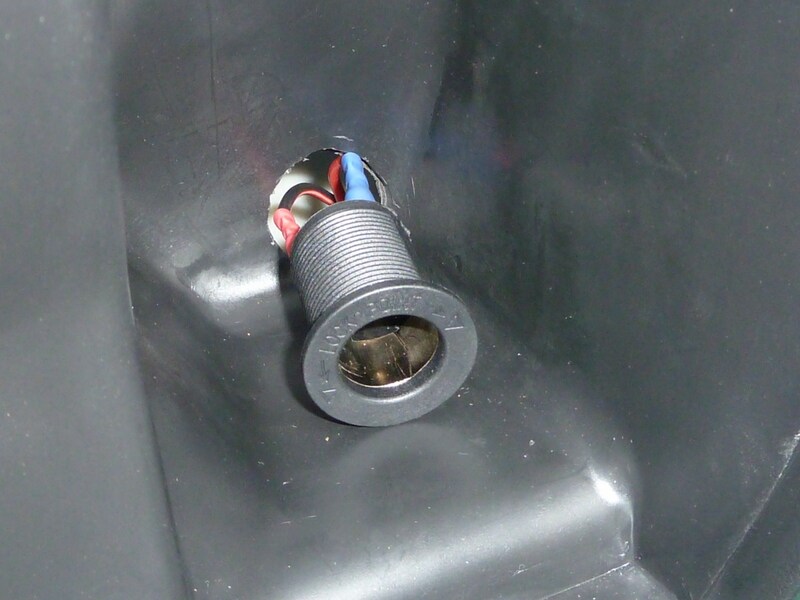 The Odometer assembly hangs free on its cable to the left, and on the right you can see the bolt that held the wheel on. The inverted bucket is for the forks to rest on if it tips forward on its stand. WARNING: Do not operate the front brake while the wheel is detached. 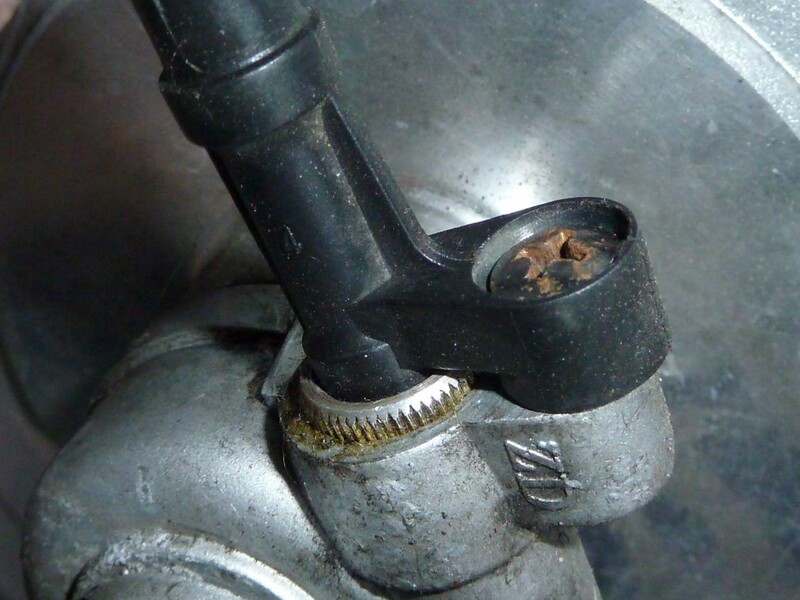 The piston will pop out of the calliper head. 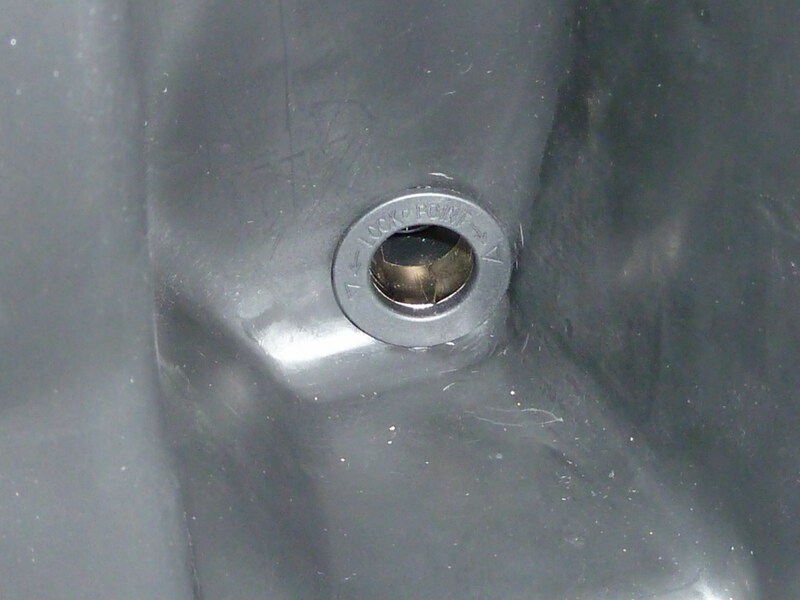 2) The disc has three larger holes for the bolts that hold it on. Here’s the new one I got, face down. 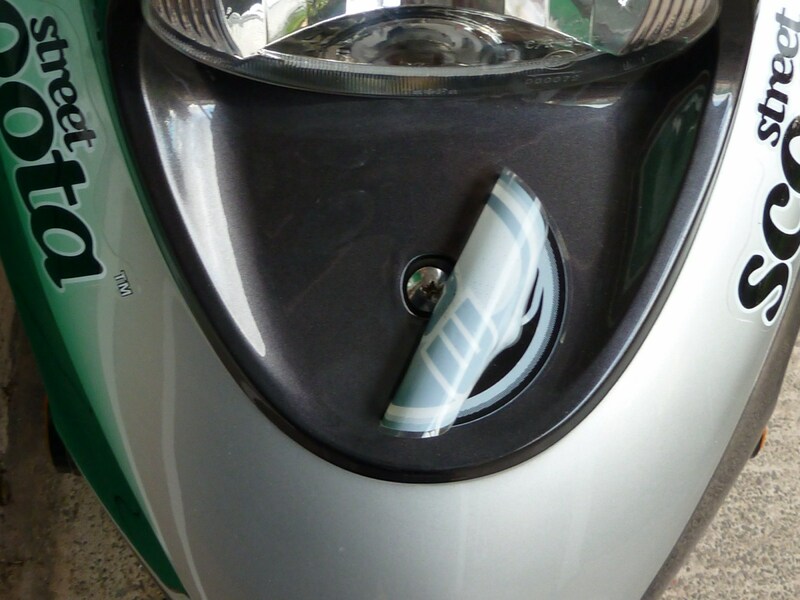 Take the old one off with a suitable socket. 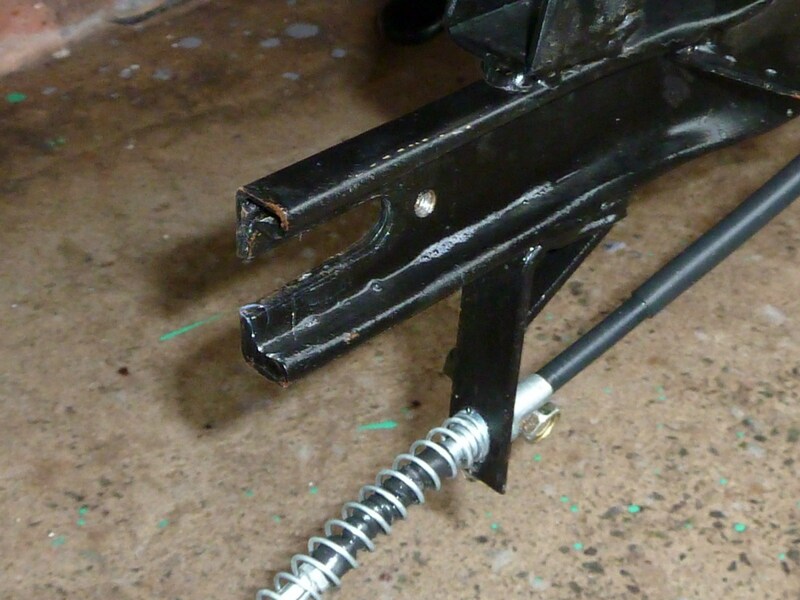 I tried to use an alan key at first, but the bolts were too stiff, and I was only going to end up stripping them. 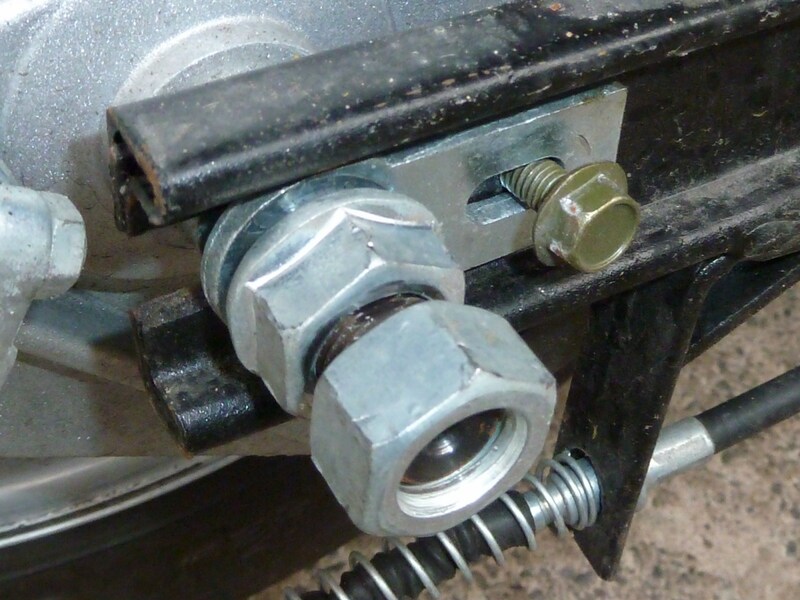 In the end I got a socket converter to use with hex-head screw-driver attachments. 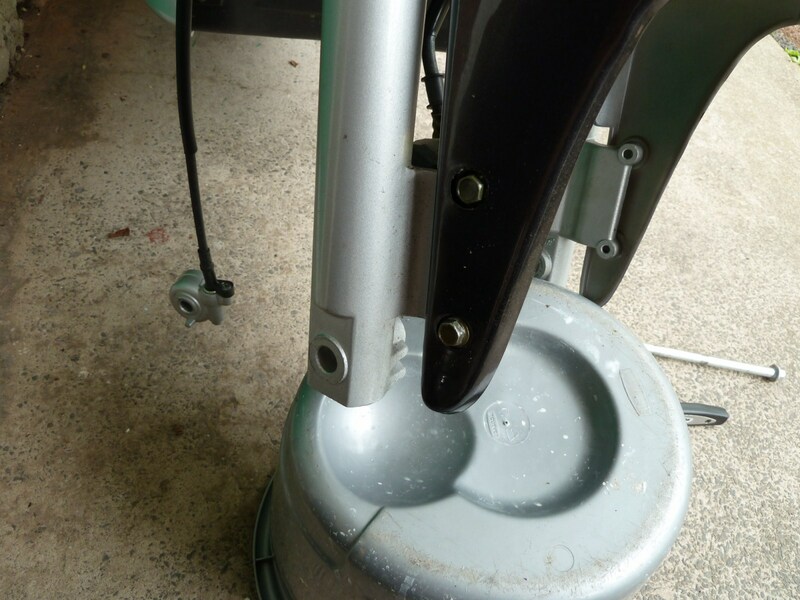 3) Replace it with the new one, but make sure you put it on the right way up! You can see which way is front by the recesses for the heads to settle into. 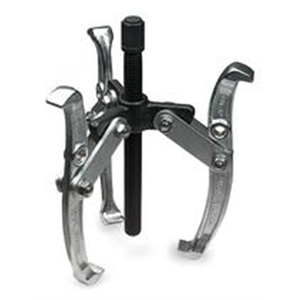 4) Tighten the nuts and put the wheel back in place, pushing the bolt back through the left fork, out the other side of the wheel and through the shaft in the odometer assembly. 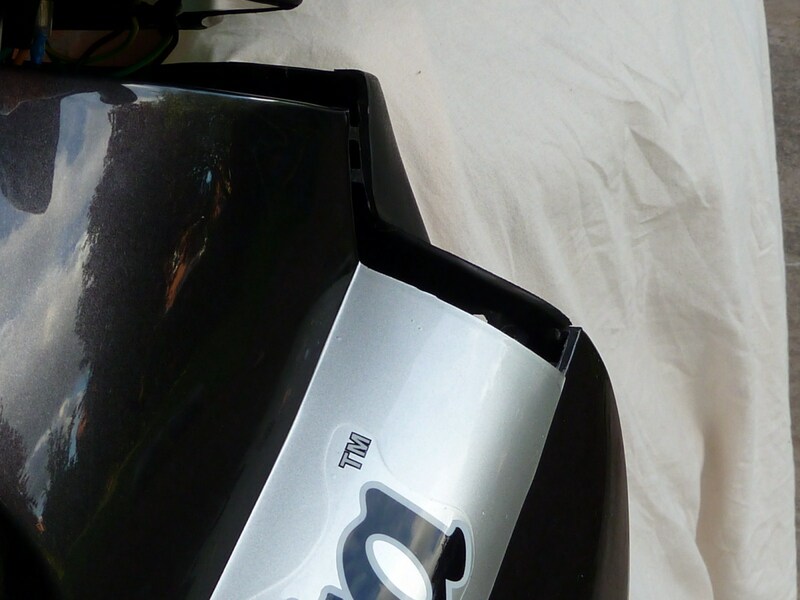 You’ll need to twist the whole thing slightly forward of the right fork to get the odometer assembly to squeeze back into place. 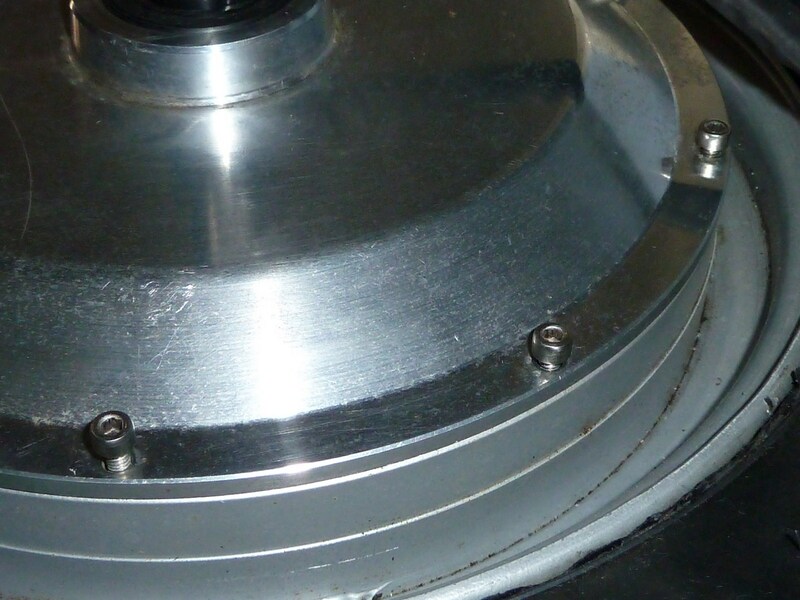 5) This is the wheel as the odometer assembly is being slid back into place. 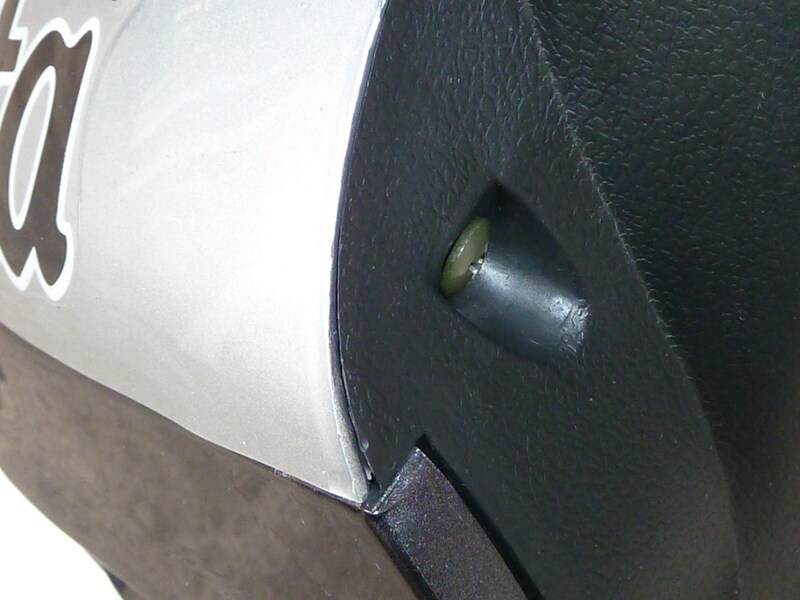 Make sure the hook on the assembly engages into the slot designed to receive it, or something nasty will probably happen when you try to drive it. 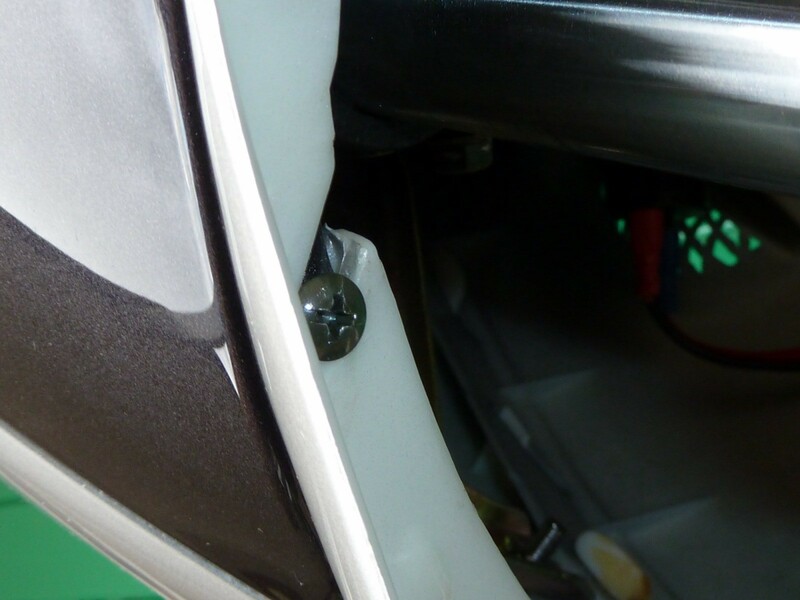 Once engaged in place, slide the bolt the rest of the way through and put the larger nut back on the end (don’t forget your tax disc holder, if you have one mounted here!). You are currently browsing the archives for the 4.6. Disassembly and Assembly category.